Late in the summer of 2010, we relocated to larger offices close to central Bristol. The new premises allow us to offer improved facilities for clients and visitors, space for expansion and an improved public presence. Our new address, telephone number and a map showing how to find us can be found on the contact page of the website. Now deep in the winter, as well as working to gain a number of planning permissions, 105 West are pressing ahead with a number of projects which have recently moved into the construction phases. 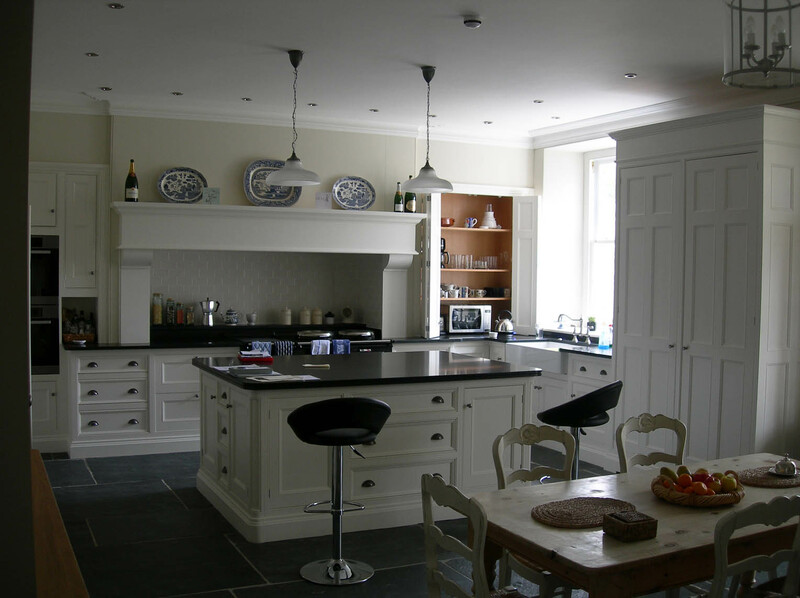 These varied projects involve renovation, extension, alteration and new build works. 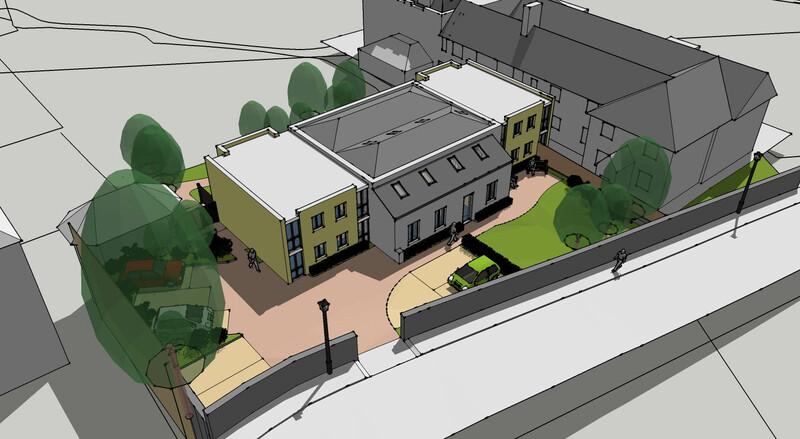 Planning permission has been gained for a nine unit residential development in east Bristol. Working closely with the property developer and a local planning consultant, permission was gained as a delegated decision at the first submission – meaning that permission was granted without the scheme being put forward to the planning committee. A planning application has been submitted for a contemporary annexe to an existing period property in central Bristol. 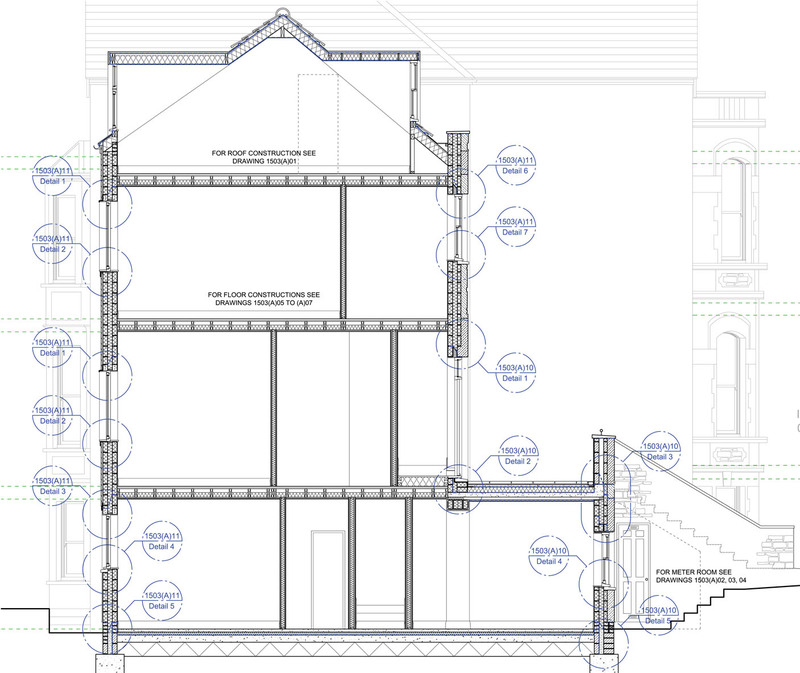 It is anticipated that the annexe will provide workshop and studio space along with two additional bedrooms. The proposed annexe is to be a highly sustainable and energy efficient building. Planning and conservation area consent is being sought for the extension and alteration of a period building comprising of commercial premises at ground floor level with accommodation above. The alterations and extension are designed to provide family accommodation, allowing the owner of the commercial premises to live in the same building as his business. 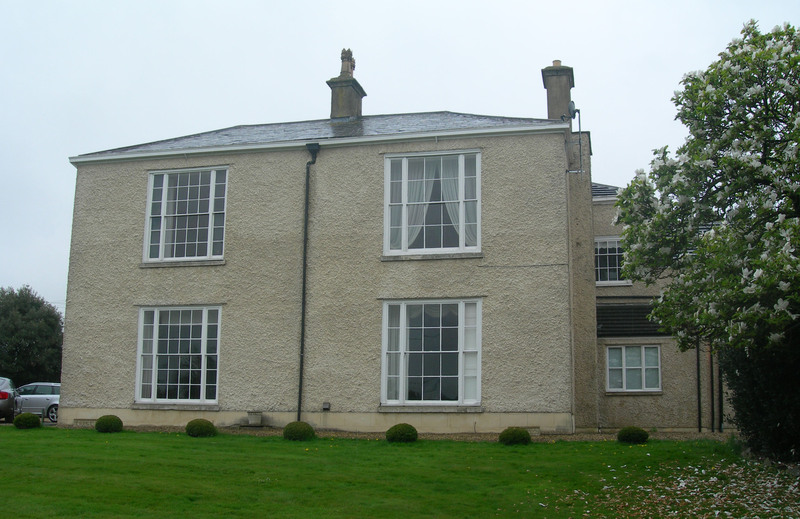 Listed buildings consent has been gained for renovations and alterations to a substantial listed property. This project swiftly moved on to the building regulations stage with works now being carried out on site. A number of projects are currently under construction, as varying stages of the process. 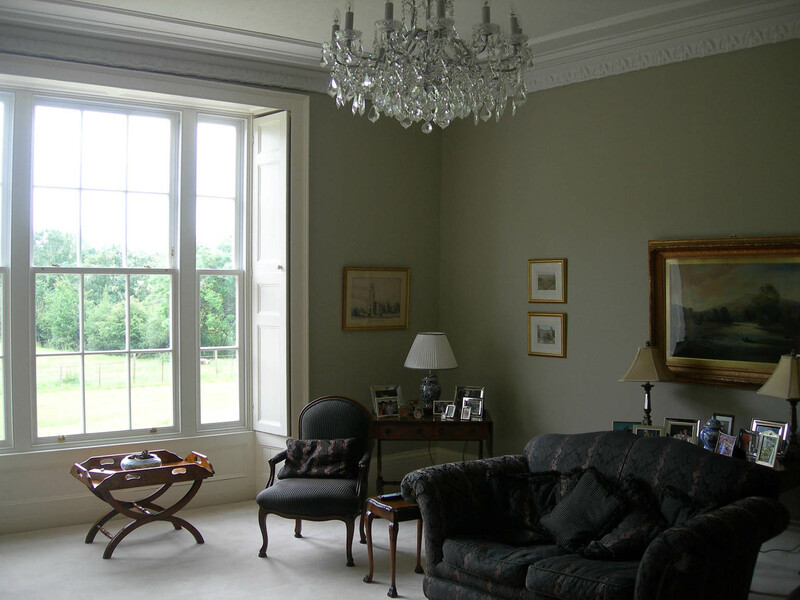 Two of the projects combine the refurbishment and alteration of large residential properties with each project also including new build extensions. The projects are very different, with one being in central Bristol and the other in rural South Gloucestershire. Substantial alterations are being carried out to a large rural house involving internal rearrangement, external insulation of the building and extensive upgrading. A two storey extension is also being added to the rear of the house. The urban house, an arts and crafts property, also involves some internal rearrangement as well as extensive upgrading. A single storey extension is being added to the rear of the house. Construction of a new town house at the end of a terrace of grade 2 listed buildings has begun in the Clifton area of Bristol. 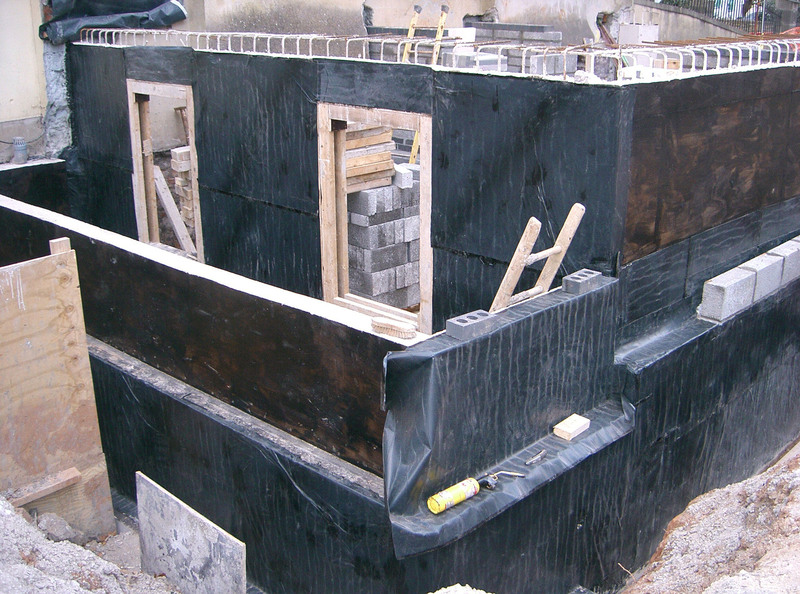 The picture below shows the waterproofing of the basement structure, which is nearing completion. The construction is due to complete in July 2010. 105 West Architects are busier than ever, with a wide variety of projects and new premises. For details of our new address, please go to the contact page. Some projects which had been put on hold through the depths of the UK recession have started up again, but a strong influx of new projects has been seen since the start of spring. A feasibility study for scheme of nine new flats in two separate buildings has been completed and a planning application has been submitted. 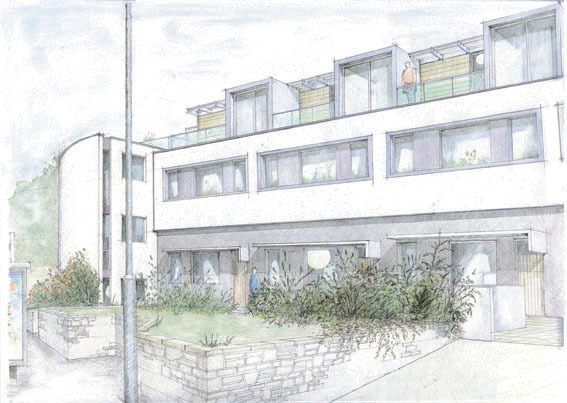 The scheme is in a suburb to the east of Bristol and is currently intended to be a contemporary intervention into a rather bland street scape. 105 West Architects have been appointed for a project to extend and carry out extensive alterations, both internal and external, to a large rural property north of Bristol. The existing property does not entirely suit the requirements of the current owners and the development of the property in the past has lead to some rather disjointed elevations. Planning permission has been granted for the scheme, which is set to very rapidly move on to building regulations and construction. Following a protracted process to obtain highways permissions, the start of construction for this project is imminent. 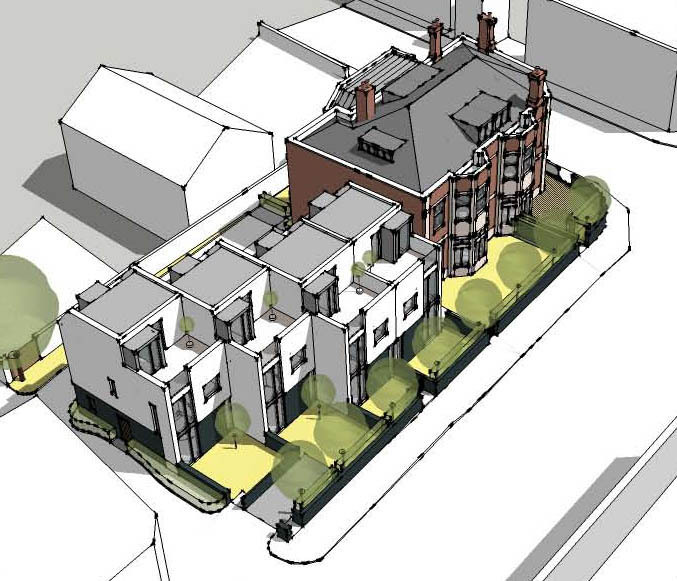 The result will be a five storey house split into two large maisonettes at the end of a grade 2 listed terrace in the Clifton area of Bristol. 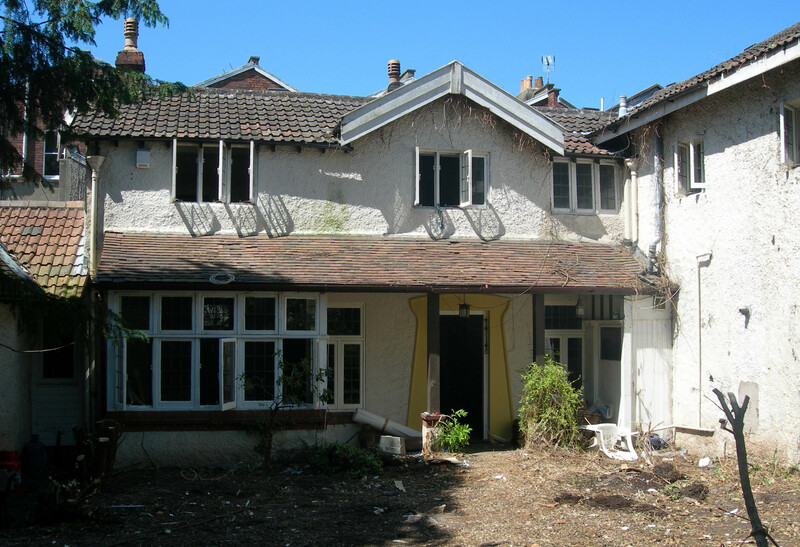 The client had previously experienced problems gaining listed building permissions, 105 West Architects were contacted to carry out a historic assessment and provide supporting planning documentation for a former licensed premises in the Brislington area of Bristol. Listed building consent has now been granted for the former public house to become the new centre for the Bristol School of Performing Arts. A potential residential development in the central area of Bristol is moving from the pre-application design stages to the commencement of the planning design and consultation stage. 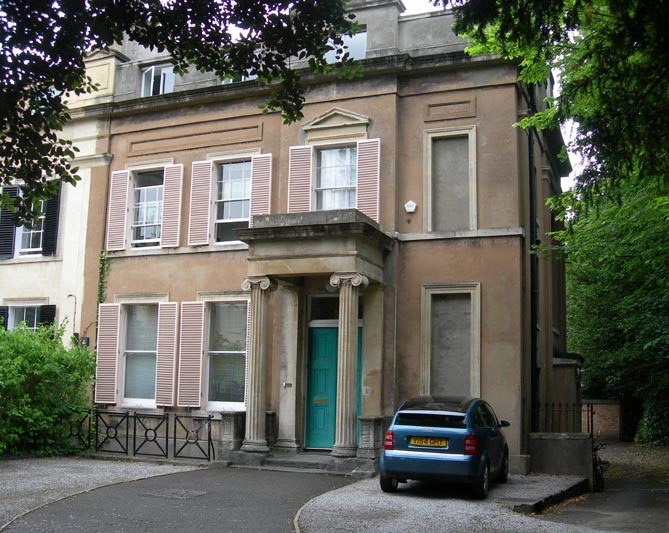 A substantial house in central Bristol has been purchased with the intention of replacing the existing extension to the property and introducing a new annexe building in the grounds. 105 West have submitted a planning application for the replacement extension and are in the process of moving from the feasibility stage to the preparation of a planning application for the annexe building. Listed building consents have been gained for alterations to top floor property overlooking the Avon Gorge and the Clifton Suspension Bridge and alterations to a property on the village green in Shirehampton. Building regulations approval has also been gained for the Shirehampton property. Both projects are moving to the construction phase. Construction is nearing completion for a day nursery in a large listed building in the Clifton area of Bristol. The nursery is due to open for business by the end of the summer 2010. The majority of 2009 was a difficult period for the construction industry as a whole, with the recession having a major impact on all private development. Despite the problems of the market place, 105 West have maintained and consolidated their position within the Bristol area. 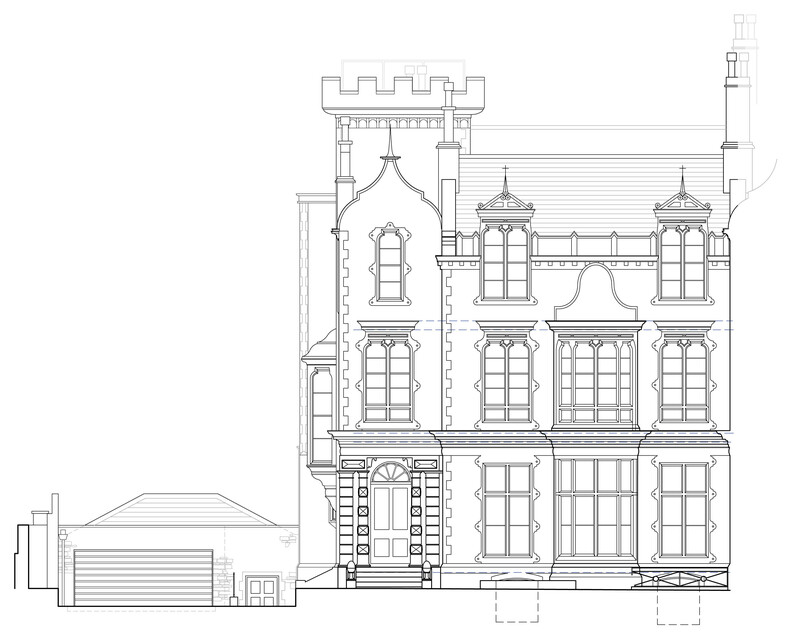 105 West have gained planning and listed buildings permissions for the conversion of a substantial grade 2 listed villa from commercial offices to a day nursery. 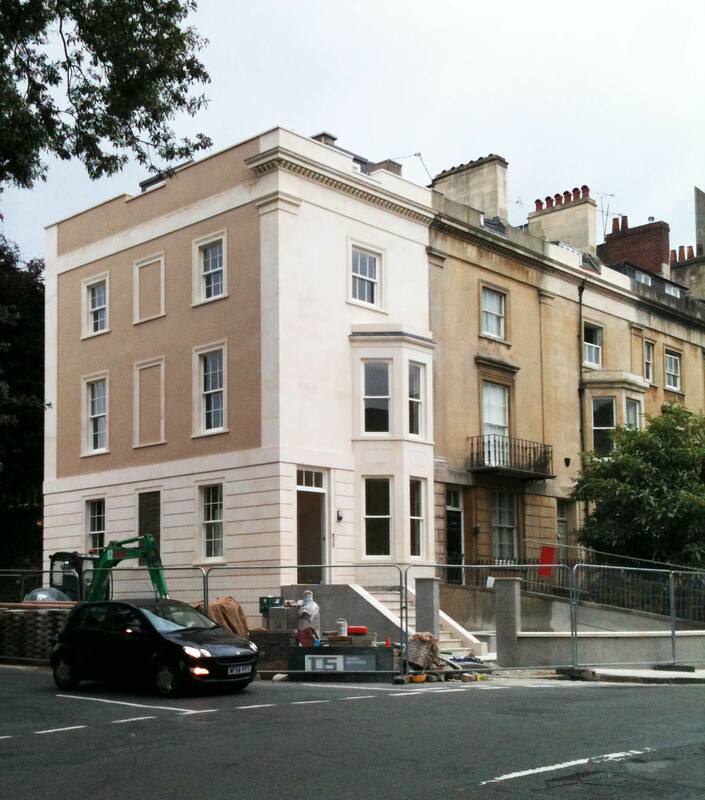 This project in Clifton required sensitive adaptation of the existing building and restoration of some original features as well as highways alterations in the area of the access to the site. 105 West have also submitted the building regulations application. Works are about to commence on site. 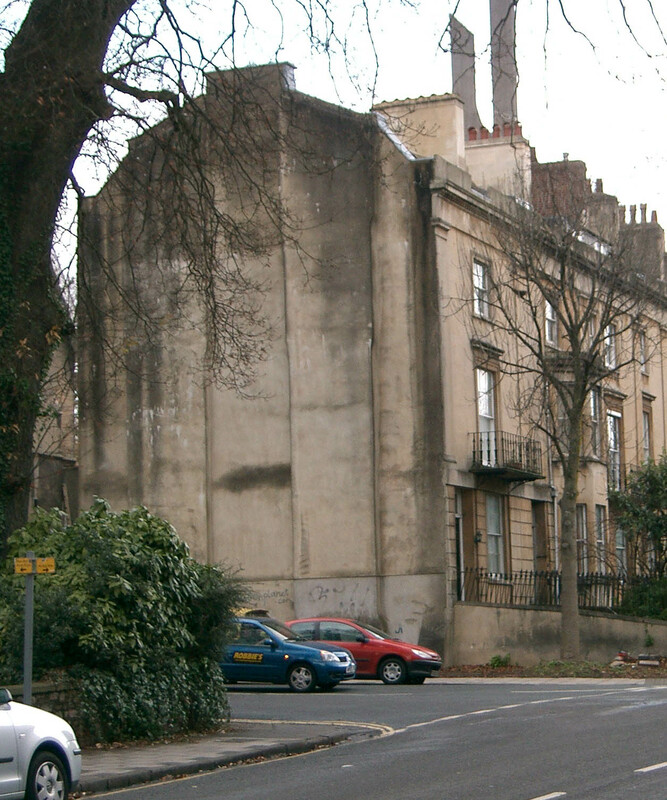 A run down large former public house in central Bristol is to be converted to residential use. This project is currently in the feasibility stage with the size of the project yet to be defined. However, it is likely the development will be in the region of 50 bedrooms, split over a number of residential units with a substantial new build element. 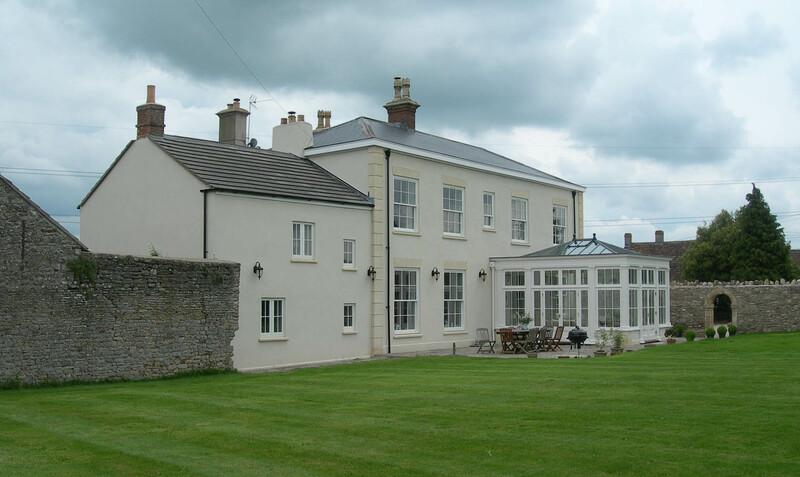 A history of difficulties gaining permission to carry out alterations to a grade 2 listed property on the outskirts of Bristol prompted the house owner to contact 105 West. Listed buildings consent has been gained for first floor alterations to the rear of the property. 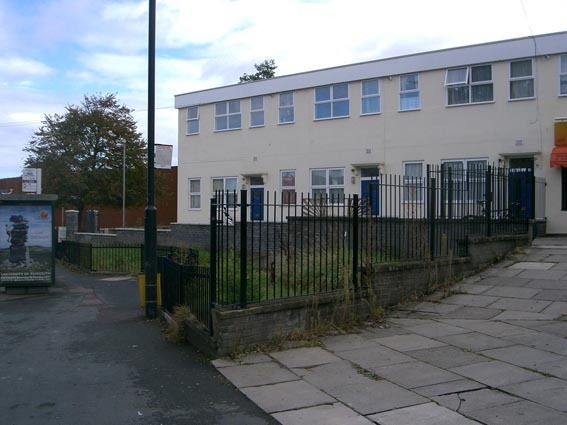 This project has moved from a feasibility study to the final stages of preparation for a planning submission for 8 sheltered housing units. The proposed development is within registered Park and Garden situated in a conservation area, adjacent to a large property used as a nursing home. Informal pre-application discussions with the local authority and the Garden Historic society have informed the nature of the proposed development. The proposed development is a combination of a traditional central structure reflecting the historic development of the site, with visually light contemporary additions. 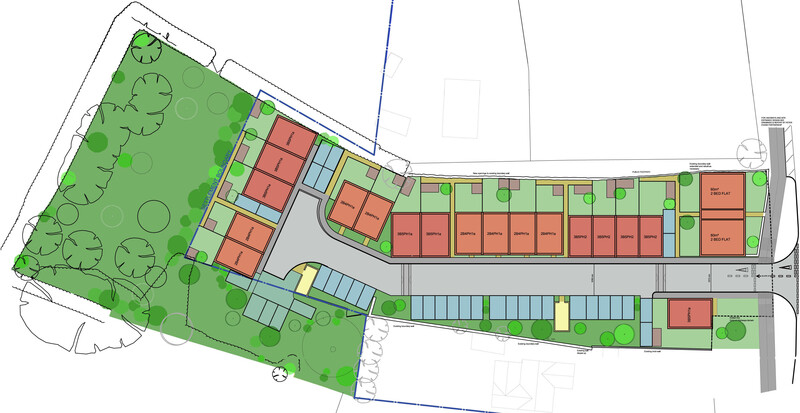 A feasibility study is being carried out by 105 West for a development of 24 affordable housing units in a village in South Gloucestershire. 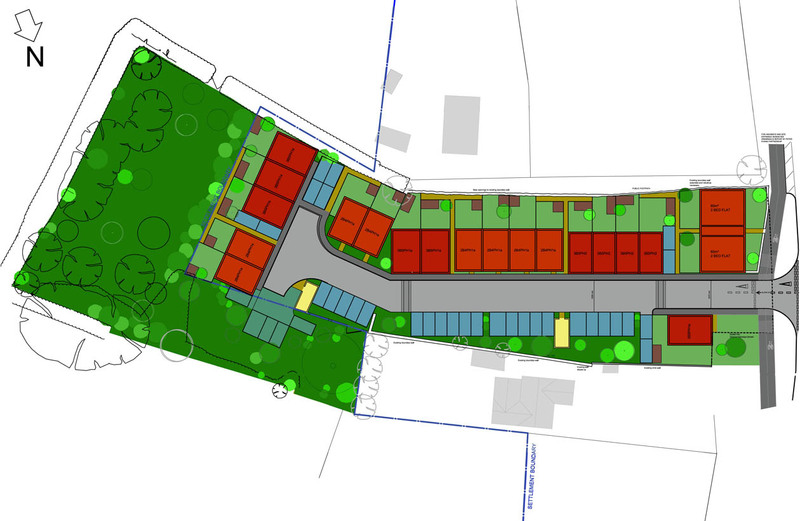 The feasibility stage is nearing completion and is likely to lead to a planning application for the scheme in early 2010. Planning permission has been gained for the extension and alteration of a property in a Bristol suburb. These alterations added one study, one bedroom, two en-suite bathrooms, a breakfast room and a utility area. 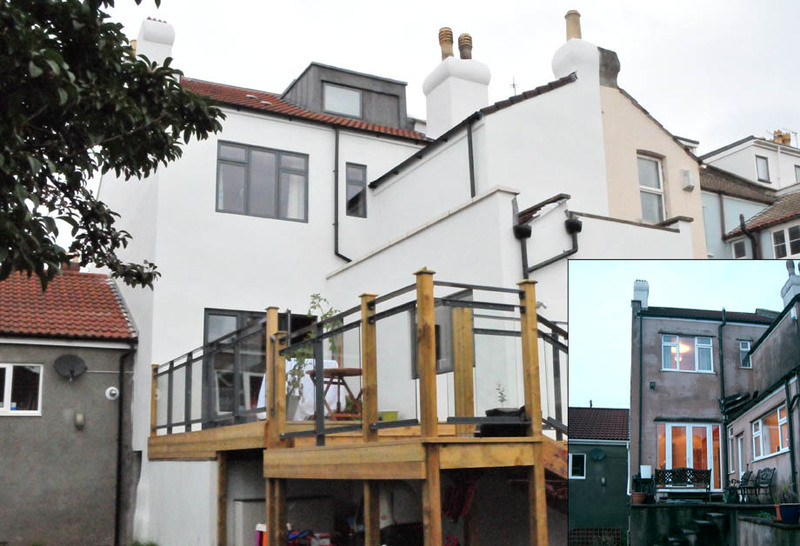 The scheme also added a pitched roof above the original flat roof adding an additional floor to the property. As we head toward what will hopefully be a long and warm summer, 105 West are busy working on a number of projects in a steadily widening number of market sectors. Recent months have seen further work in the established residential, domestic and student accommodation markets as well new healthcare work. 105 West have gained planning permission for innovative contemporary housing on a challenging site on the outskirts of Bristol. The site had a history of failure to gain planning permission due to its very sensitive nature, being adjacent to a Grade One listed National Trust group of cottages. 105 West were approached because of their successful track record of working with listed buildings and within challenging constraints. Following detailed negotiations with the local authority planning department, conservation department, English Heritage and the National Trust, planning permission was granted in April 2009. 105 West have been appointed to convert a substantial Grade Two listed property from a house into a medical consultants clinic. 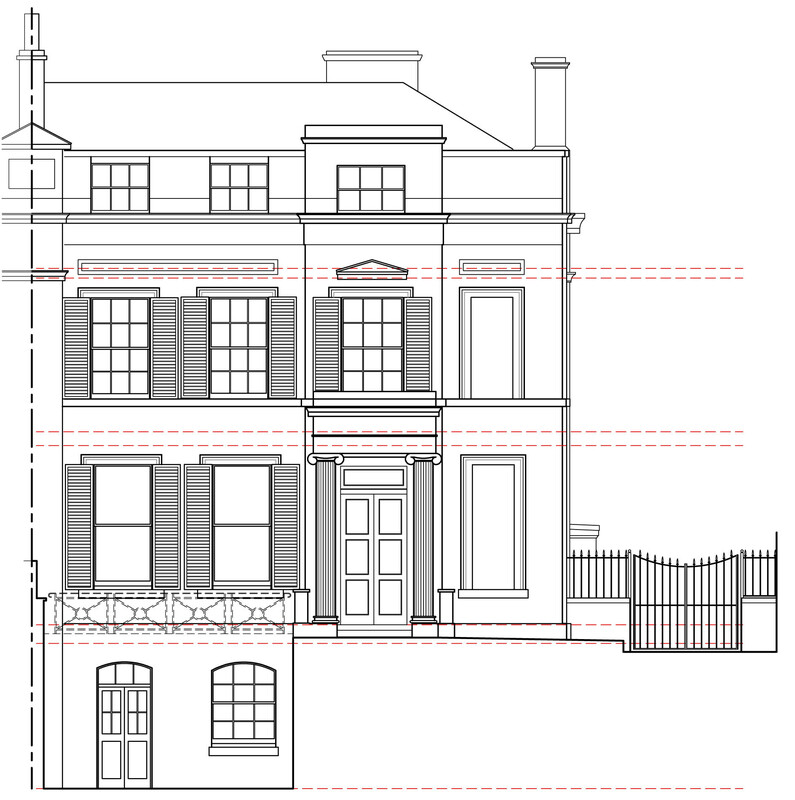 This project involves the addition of a lift to provide access to the upper floors of the listed building, the replacement of the existing dilapidated outbuildings and the conversion of the interior spaces. As well as consultancy rooms, meeting rooms, treatment rooms and administration facilities, a number of large and complex pieces of equipment will need to be accommodated within the scheme. Feasibility has been completed and strategy agreed with the conservation department of the local authority. Scheme design is now underway. Planning permission has been granted for a new farmhouse in rural south Wales. The previous farmhouse did not provide wheelchair access, which had resulted in difficulties for the family who run the farm and occupy the house. Due to the cost required to renovate and alter the previous building, the decision was taken to demolish and replace the house with a new home which would provide the levels of comfort and access required, while being a highly sustainable construction designed to be a modern interpretation of the local rural aesthetic. 105 West are now in the process of preparing the building regulations application for this project. A feasibility study is being carried out to convert two existing buildings in a central Bristol location to provide student accommodation. This project is at a very early stage, but appears likely to proceed given the potential of the feasibility scheme. 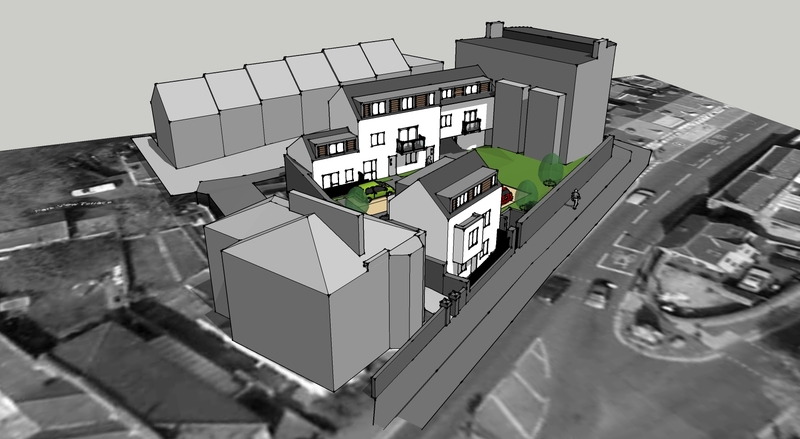 105 West were commissioned to carry out a feasibility study for the construction of a small sheltered housing scheme attached to an existing residential nursing home. The preliminary scheme has received positive informal feedback from planning consultants and the local authority. The brief for the scheme is being developed in conjunction with the client. Two domestic projects are currently under construction, with both projects due to be completed by the summer. Since the summer update, 105 West have been working on a number of interesting projects, in urban, suburban and rural areas. Projects have ranged from city centre mixed use developments to individual rural houses. As well as completing a variety of building designs, 105 West have been issuing tenders and managing and administering on site construction. Final preparations are underway for the submission of a planning application for a mixed use brownfield development in central Bristol. 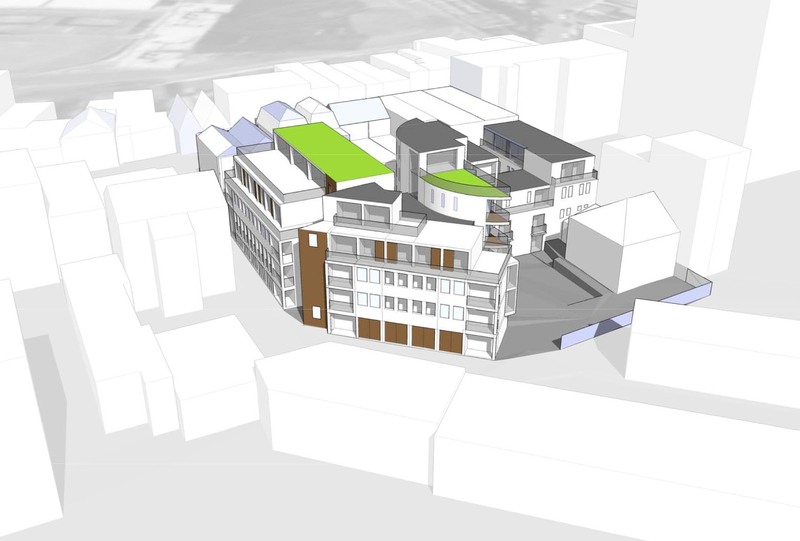 The proposals comprise residential units, commercial spaces, student accommodation and heritage refurbishment works. This project, involving the construction of a new four storey link structure, combined with the complete refurbishment and rearrangement of two existing villas, has been completed under budget. The buildings are fully occupied and the end of defects period is approaching. Three domestic projects are currently either under construction or due to commence construction by mid January 2009. 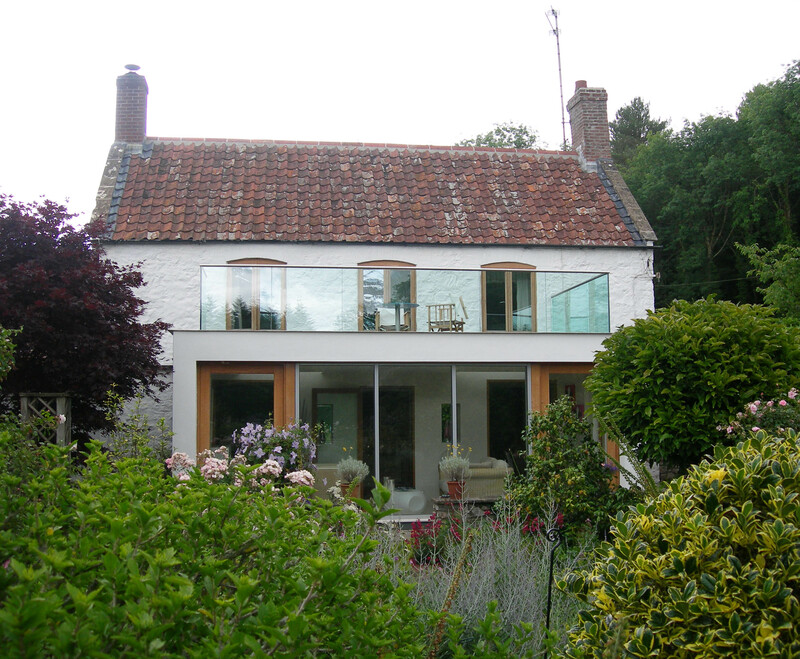 These projects vary from internal alterations to a city centre listed building to the extension of a rural home. The scope of the projects vary widely, with the requirement for high quality design being the common link between them. Amongst a number of residential developments which are currently in design, a planning application is being developed for three individual contemporary houses on a highly sensitive site. 105 West have been working closely with the local authority, English Heritage and the National Trust to develop a scheme which complements and reflects the surrounding area. designs for a number of exciting sites, both new build and refurbishment, as well as working on various domestic projects. The design approach to each domestic project is unique, being defined by the desires of the client and the context of the existing building. Aesthetic approaches employed have varied from the traditional to high end contemporary minimalism. The scope of the domestic works carried out have included the conversion of unused roof spaces, extensions to existing properties and the reconfiguration of internal arrangements. large maisonettes within a seemingly traditional building. rearrangement of the existing villas, provides eight modern city centre flats. to the existing building and landscaping the external spaces. rearrangement of a number of existing buildings. 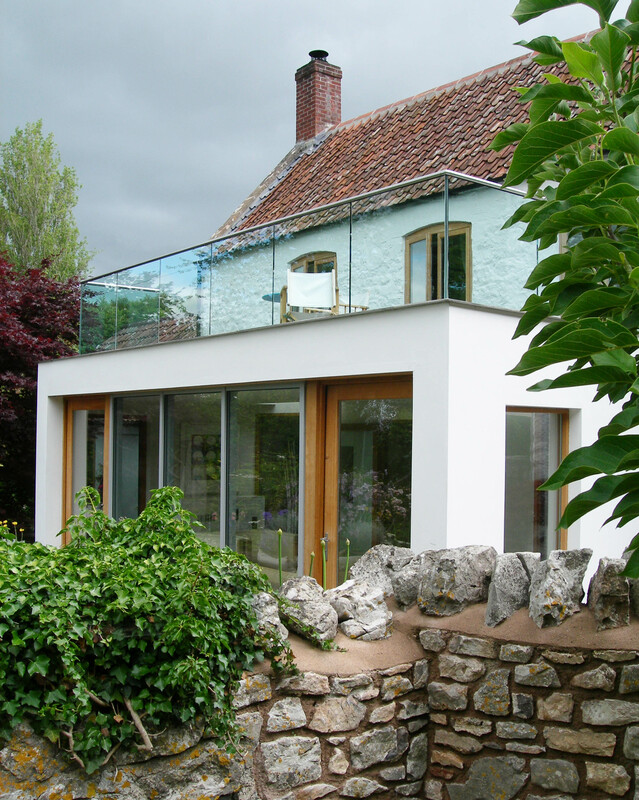 105 West Architects are an established Architectural practice based in central Bristol. We believe in providing considered and appropriate design solutions tailored to the requirements of our clients, using good design to maximise the potential of each project. With a wealth of experience in the local area, 105 West Architects are ideally placed to quickly assess potential projects and advise on the most suitable course of action, whether designing new build projects or refurbishing and adapting existing buildings. The members of 105 West Architects have a strong track record in the area of listed buildings, conservation and heritage work. Allied with this expertise are excellent contemporary design skills and the experience to judge whether traditional or contemporary design is appropriate for a given situation. 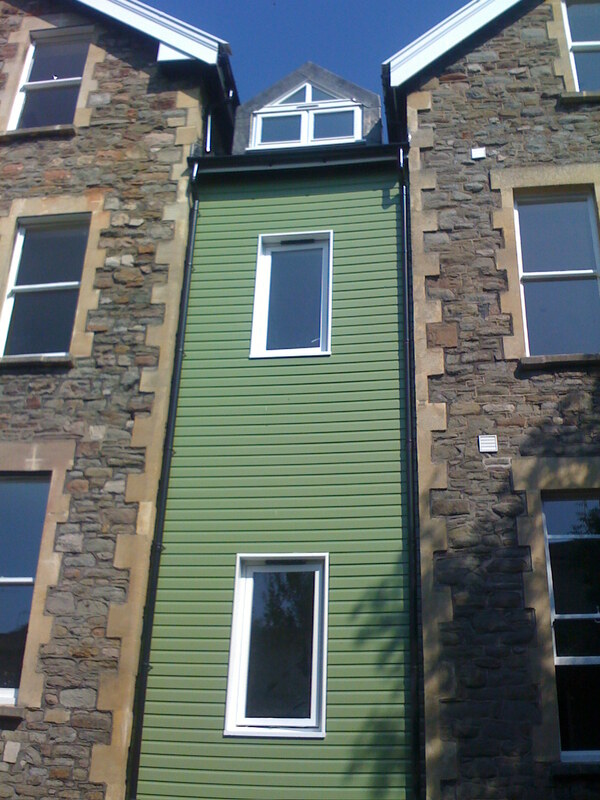 We have a thorough knowledge of traditional and modern construction techniques as well as a keen awareness of environmental impact and performance. This level of understanding allows us to successfully manage projects from feasibility, through construction to completion. We build strong relationships with clients, contractors and other construction industry consultants, with repeat business being at the core of our company. Relationships with new clients usually come from personal recommendations and reputation. Our belief in building relationships extends to working closely with the local authorities, developing a mutually beneficial understanding of the requirements of local planning and conservation policies. 105 West Architects are a young Architectural practice based in central Bristol. We believe in providing considered and appropriate design solutions tailored to the requirements of our clients, using good design to maximise the potential of each project.